Knocki a team of developers based in Houston Texas have been developing a new piece of hardware called aptly named Knocki, that they say can transform any flat surface into a smart surface. The Knocki smart surface controller takes the form of a small disk-shaped device, roughly the same size as a Google Thermostat, that allows you to control your favourite devices and applications by just touching on surfaces around you. Watch the video below to learn more about the inspiration and technology used to create the Knocki smart surface controller which is taken to Kickstarter and already raised over $180,000 thanks to over 1600 backers with still 44 days remaining on their campaign. The team behind Knocki explain more about the technology we have used to created and provide the smart surface functionality. Technology should make our lives easier, so why does controlling it feel so complicated? An endless maze of mobile apps, smart switches, and other interfaces create a confusing and fragmented experience. We believe there’s a better way – Knocki offers the simplest, most natural, and accessible way to control the world around you. You’ve never seen anything like it! 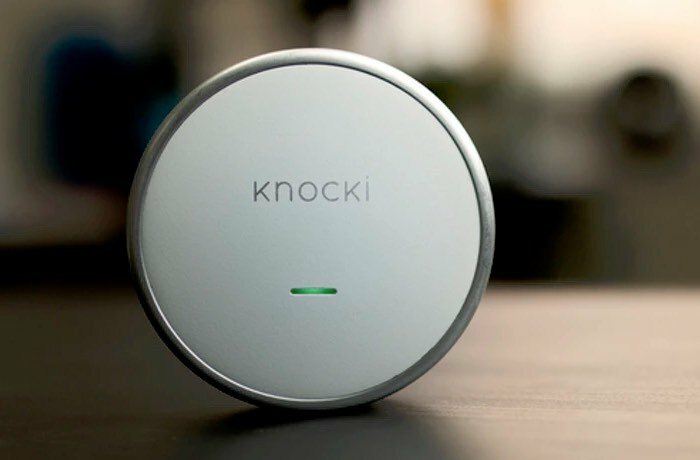 Knocki is a small wireless device that instantly transforms ordinary surfaces (walls, tables, doors, furniture, counter-tops, & more) into powerful yet easy to access remotes for your favorite devices and software. Using Knocki is easy. Just tap simple gestures anywhere on a Knocki-enabled surface to automate all kinds of useful actions. Make your ordinary surroundings do more. Why reach for a phone, a remote, or a switch to perform your favorite functions? There’s another control interface that’s always within reach – the world around you, and you can activate it with Knocki. Can your table turn on a TV or dim the lights? With Knocki discreetly mounted underneath, the entire surface becomes capable and connected. Knocki adds magical simplicity wherever you use it. For more information on Knocki and the ability to make a pledge with early bird rewards available from just $69 jump over to the Kickstarter crowdfunding website via the link below.